If you have not used any of the following free suites and have doubts about their quality, brace yourselves because they might surprise you. Which is the best free Office for you? The first program to confirm this statement is the excellent LibreOffice. 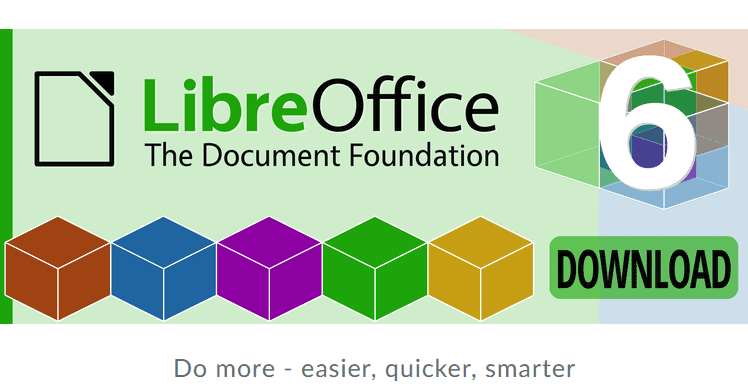 LibreOffice may make us wonder why we have yet to use it and why we paid to get Microsoft Office in the first place. It is compatible with all types of Microsoft documents. 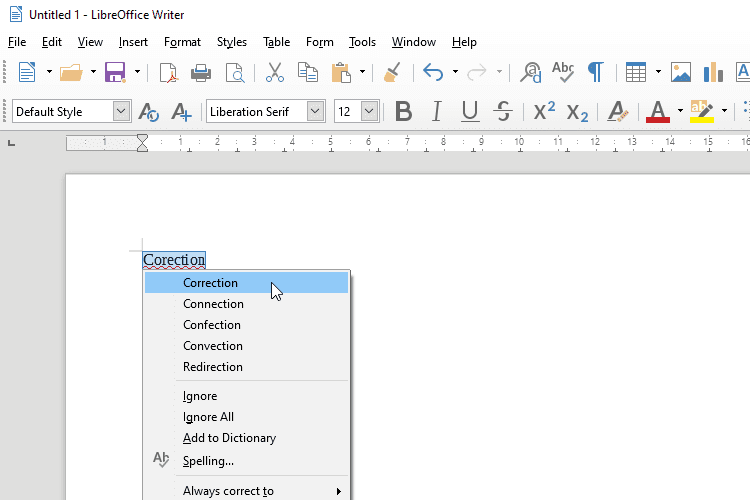 Also, it has almost every feature that we can find in the most recent Word, PowerPoint, and Excel editions. 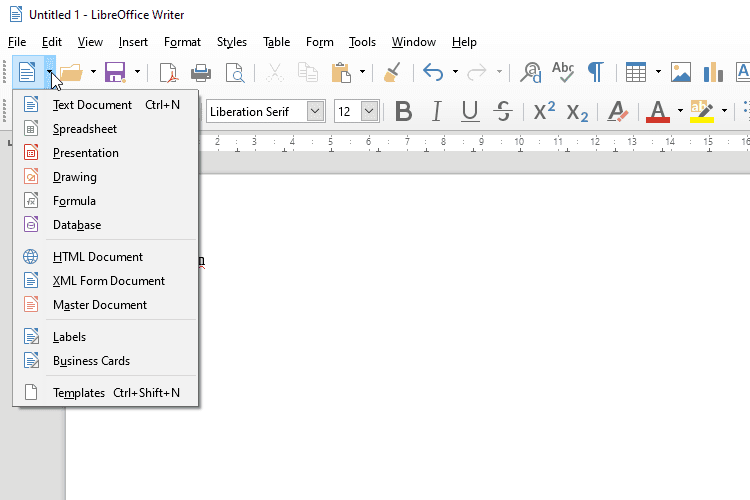 The free Office suite is an open-source project. A huge enthusiastic community of volunteers preserves and continuously improves it by adding new features. 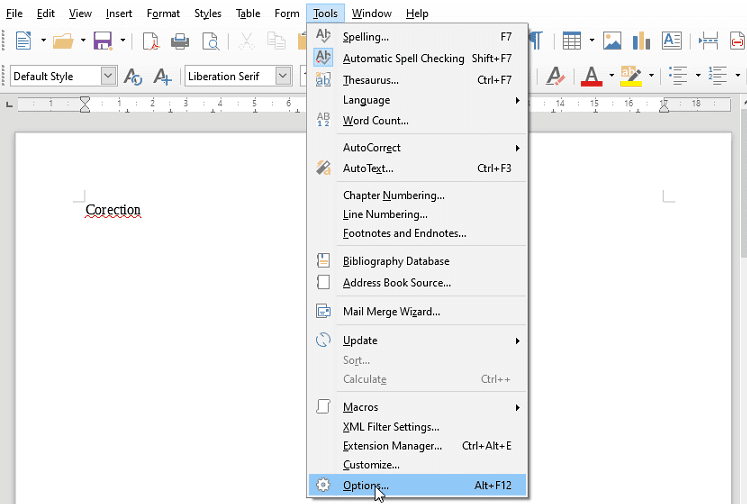 On LibreOffice, there is a wide variety of extensions and models that make it even more flexible for both professionals and home users. Furthermore, LibreOffice is the default free Office on most Linux distributions. The setup of the suite is straightforward. All we have to do before downloading is to select the right operating system, as we can see below. The main advantage of this free software is its user-friendly environment. LibreOffice suite has very simple and easy to understand icons. It includes many programs which are similar to Word, Excel, and PowerPoint. 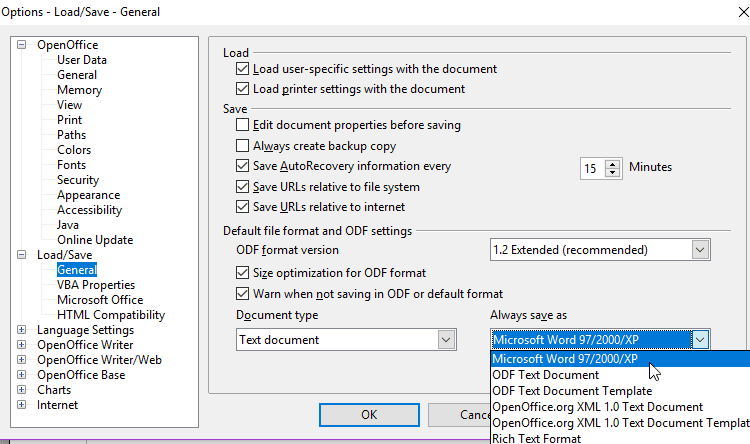 The only disadvantage of the free suite is that even though it supports Microsoft Office files usually, the default action is to store the files in the OpenOffice formats ".odt" and ".ods," for text documents and spreadsheets accordingly. ...from "Load/Save" we select "General" and then "Microsoft Word 97-2003 (*.doc), as you can see in the following picture. 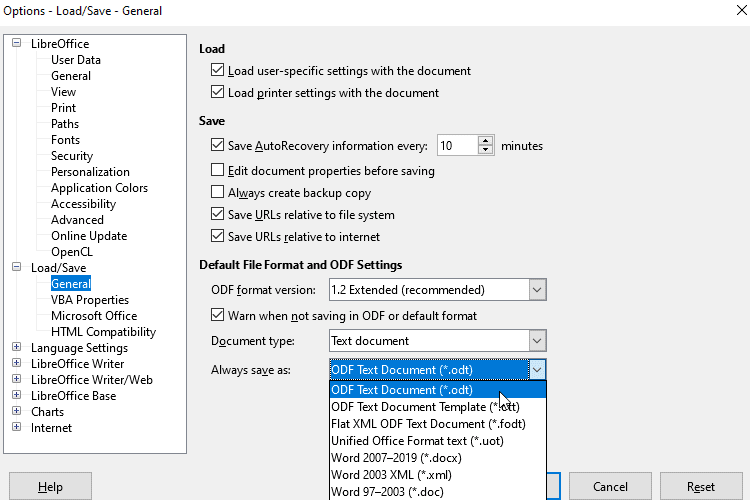 We click on OK and from now on, when we save, the default file extension will be ".doc". 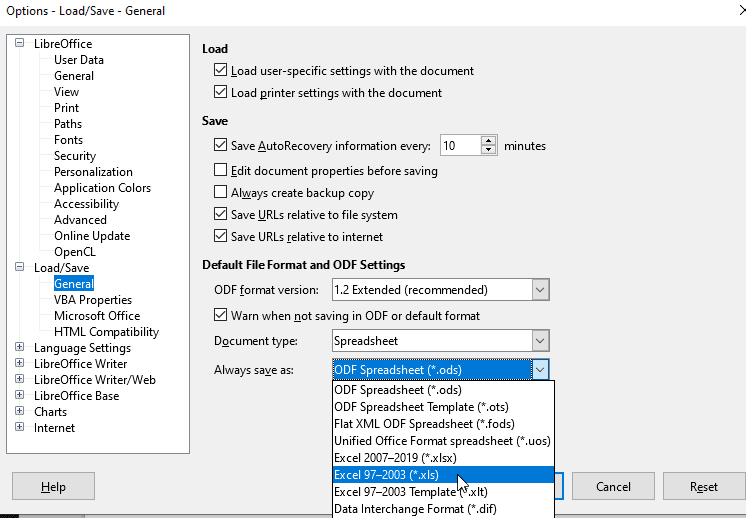 If we want to change this default option when we save other file formats, for instance on Excel, we can change the "Document type" to "Spreadsheet." Then, we select the corresponding option "Microsoft Excel 97-2003 .xls". 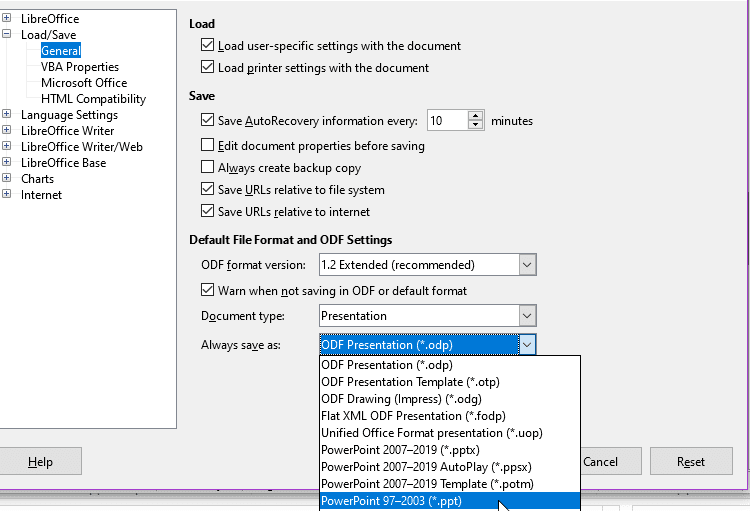 Similarly, for presentations, we select "Presentation" as a file format and in "Always save as" we select "Microsoft PowerPoint 97-2003." 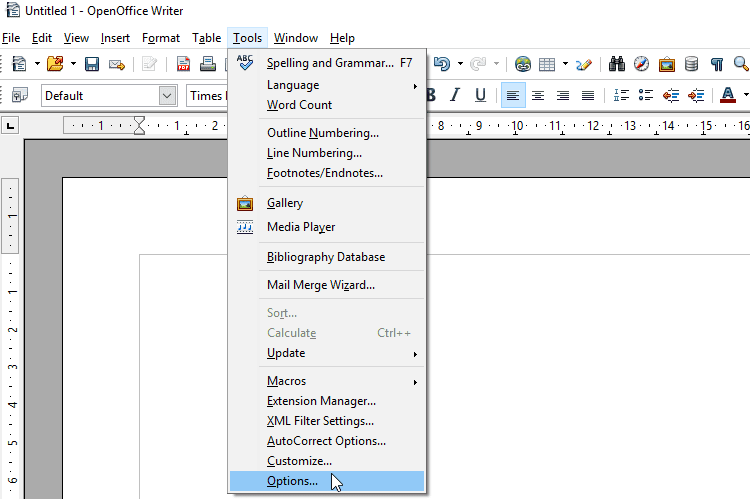 OpenOffice.org is one of the most popular free Office suites, and it probably has the most tumultuous history. It started from Sun Microsystems as a branch of the open-source StarOffice. In less than four years, it conquered more than 15% of the big businesses market. At the same time, it was the default software practically in all the Linux distributions. But, within two years after Oracle had bought Sun, the development of OpenOffice.org came to an end. Oracle offered the name to Apache Software Foundation, which has been preserving and developing Apache OpenOffice to this day. It is quite simple to install OpenOffice. 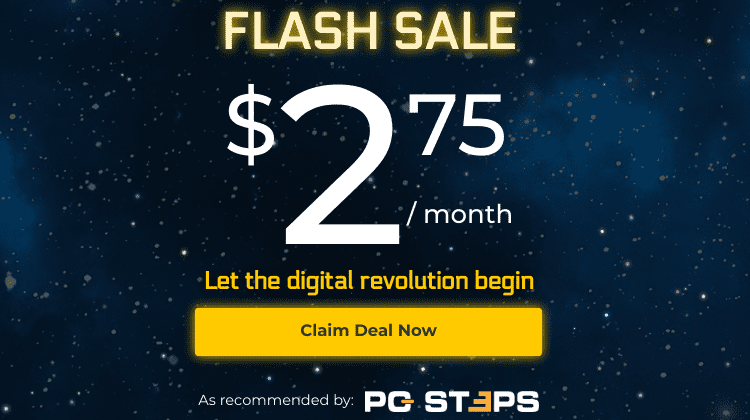 We select the operating system and then click on download. In terms of design, the software has kept the interface of Microsoft Office 2003. Even the properties column on the right are almost the same. 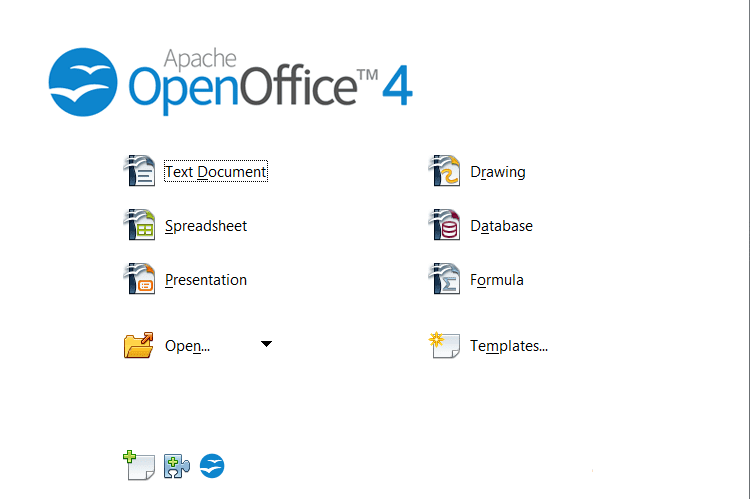 Overall, someone who is used to old Microsoft Office editions will feel right at home using Apache OpenOffice. It includes programs equivalent to Word, Excel, PowerPoint, Access, Visio, and Equation Editor. 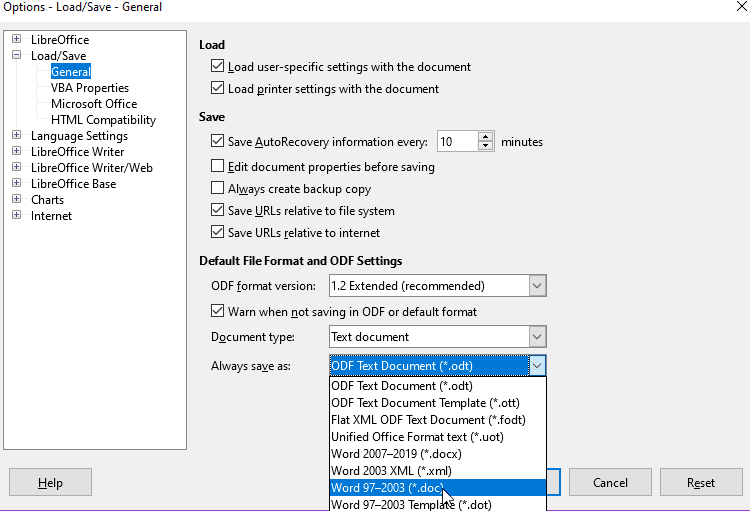 Even though it supports ".doc", ".docx", ".xls", and ".xlsx" files, the default option is to save files in the format of OpenOffice with the extension ".odt." Let's find out how to correct this problem. ...from "Load/Save" we select "General" and then "Microsoft Word 97/2000/XP". 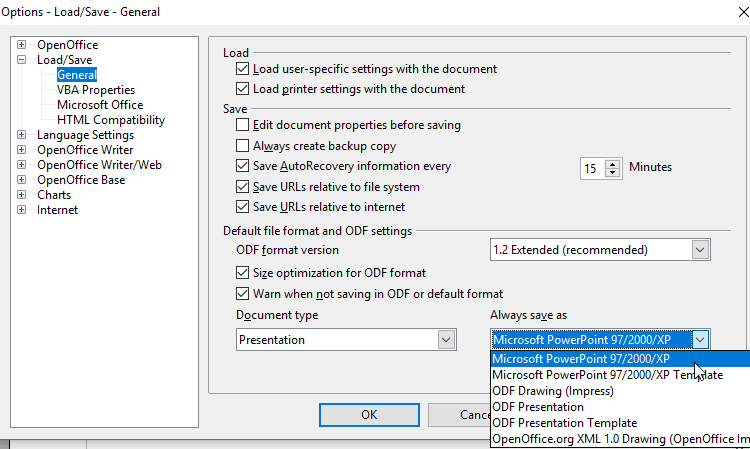 We click on OK and from now on, when we save, the default file format will be ".doc". To change this default option for other file formats, like Calc (Excel) and Impress (PowerPoint), we can change the "Document type" to "Spreadsheet" for Calc and select to save as "Microsoft Excel 97/2000/XP." We do the same procedure for presentations. In the file format section, we select "Presentation" and then "Always save as: Microsoft PowerPoint 97/2000/XP." Last but not least is the online Google suite, which is probably a sensible choice for those accustomed to the Android or Google environment. Even though the free Google Office does not offer the advanced tools that we can find in the two previous suites, it still provides a friendly environment with a simple and clear interface. Furthermore, the toolbars and the menus of the suite have many options that we cannot find on desktop applications. For example, we can enter comments by clicking on a highlighted paragraph or by pressing Ctrl+Alt+M (Windows) or Cmd+Option+M (macOS). If we have an internet connection, all the files will be saved and synchronized automatically on Google Drive. This way, there's no need to worry about moving or backing up those files. The same applies to the spelling control that takes place automatically, right at the beginning. So, we do not need to intervene or add something. 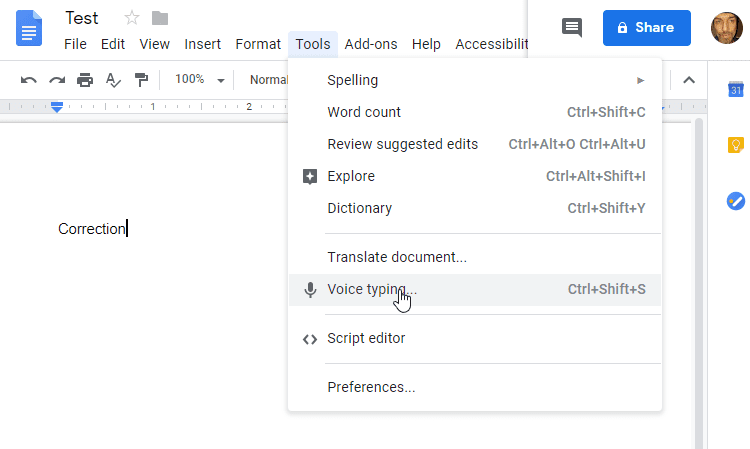 One of the most significant advantages of Google documents is, of course, voice typing. It works well on Chrome and on the two clones that use the open source Chromium. The fastest way to gain access to Google documents is to download them from the Chrome web store. Then, we can create a shortcut on the desktop, but also pin the icon on the taskbar. Also, voice recognition works very fast without any difficulties. 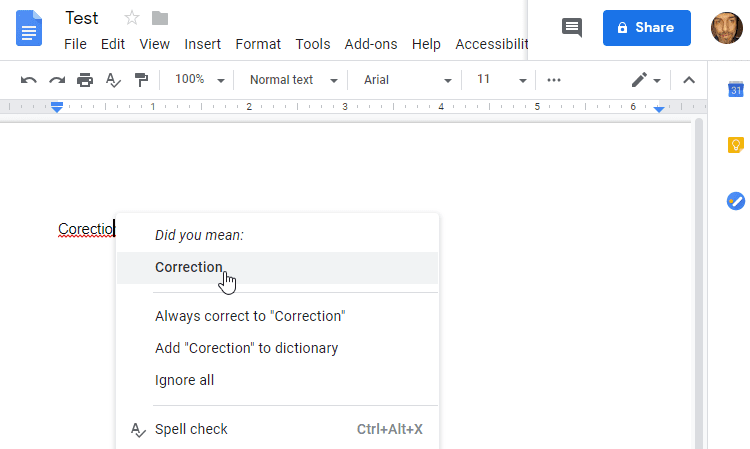 The main disadvantage of Google documents, spreadsheets, and slides, is that the files that we create come out with many flaws after converting them. This is because Google tools use web fonts instead of local fonts from our device. Another reason why a file may be compromised after we convert it is that Microsoft and Apple documents contain functions that Google does not support. 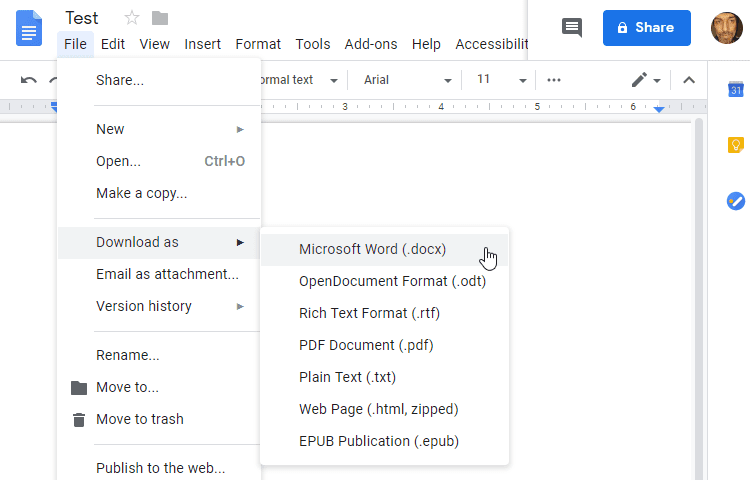 We can export Google Docs in Office, Open Document (OpenOffice and LibreOffice), PDF, HTML, and ePub forms. 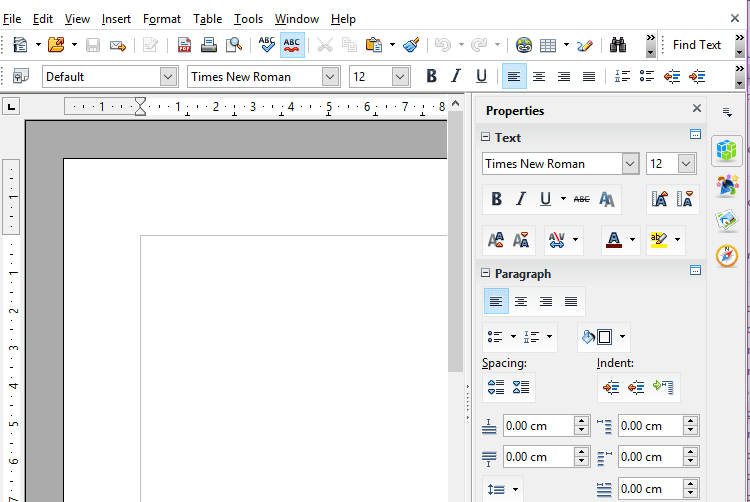 OpenOffice and LibreOffice have a similar appearance and features and only a few differences. Also, they are the most complete desktop suites similar to Microsoft Office. They offer programs equivalent to Word, Excel, Powerpoint, Access, Visio, and Equation Editor. 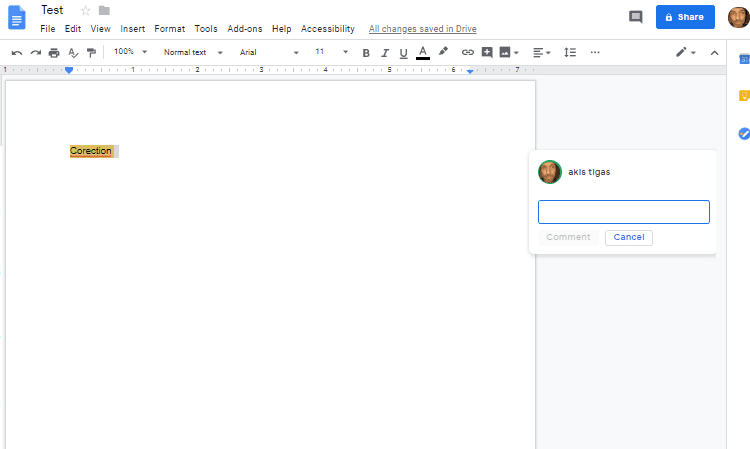 On the other hand, Google Docs is the most comfortable suite when we want to have access to our files from any device. Ultimately, the best free Office is the one that we find the most convenient to perform the tasks we have. 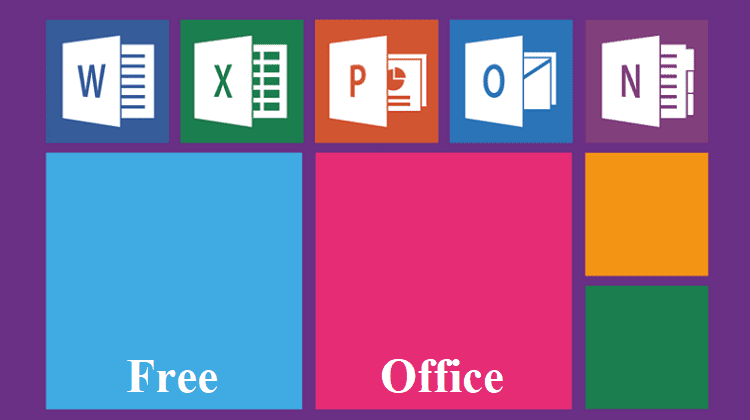 If you have any questions or want to recommend other free Microsoft Office alternatives, you can write to us in the comments below.